As we head towards Spring/Summer one of the trends I'm most excited about is khaki, it's been a while since this military inspired colour palette has been on the high street, so I'm looking forward to rocking a few army inspired pieces. 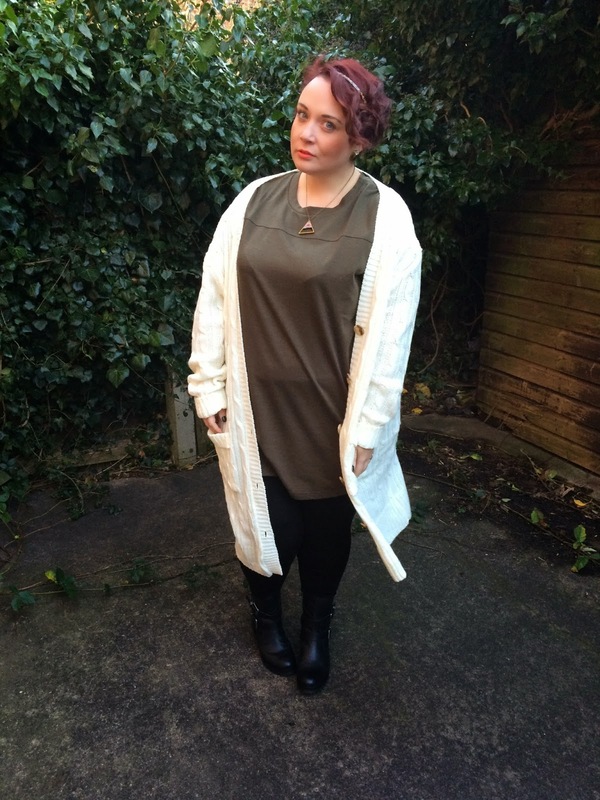 I bought this khaki tunic from New Look last week. It's quite a basic piece so it's really versatile. I wore it yesterday for both the day time and evening. For my day time look I opted for comfort (there's a big surprise! 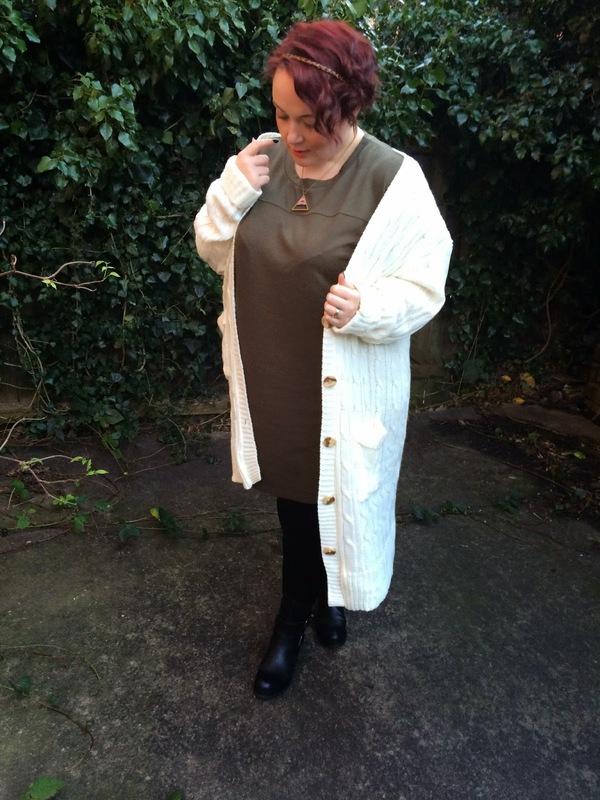 ), I teamed the tunic with leggings, biker boots and a big chunky cardigan. 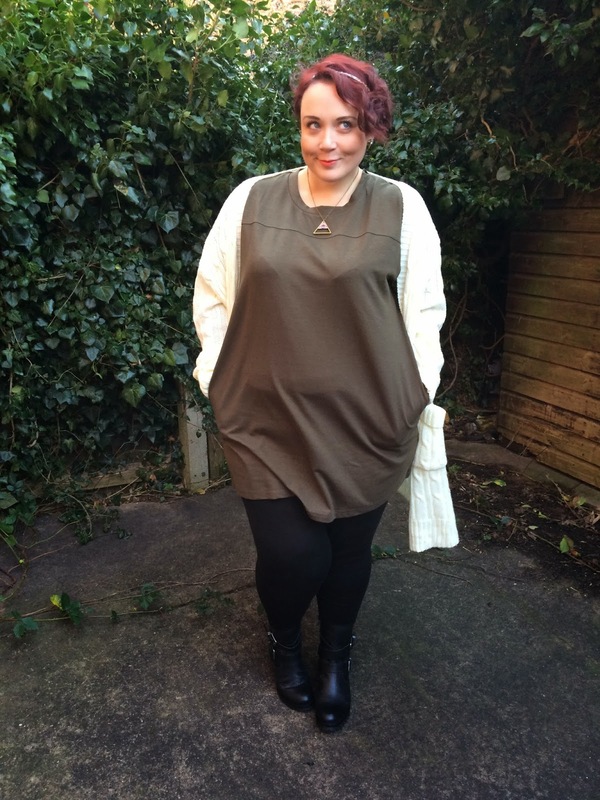 I sized up to a 24 with the tunic as I can find New Look a little small fitting in tops. The tunic has pockets with is always nice! It's a heavy jersey, almost sweatshirt material. It has cap sleeves and comes up mid-thigh on me. I probably could get away wearing tights with it, but I prefer to wear leggings with anything above knee length really. 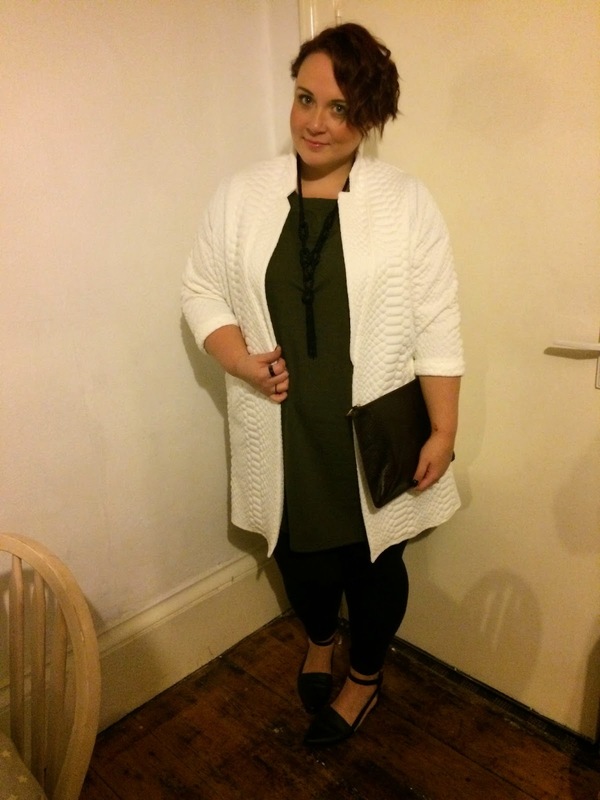 For my evening look I just swapped the cardigan for this jacket from Simply Be, I rolled the leggings up and changed my boots to these shoes from ASOS, added a clutch and some nice jewellery. This quite an understated look. We were just going out for dinner at a smokehouse kind of place so it was a pretty casual affair. I was really glad of the shoes too as we had quite a walk from the car to the restaurant! 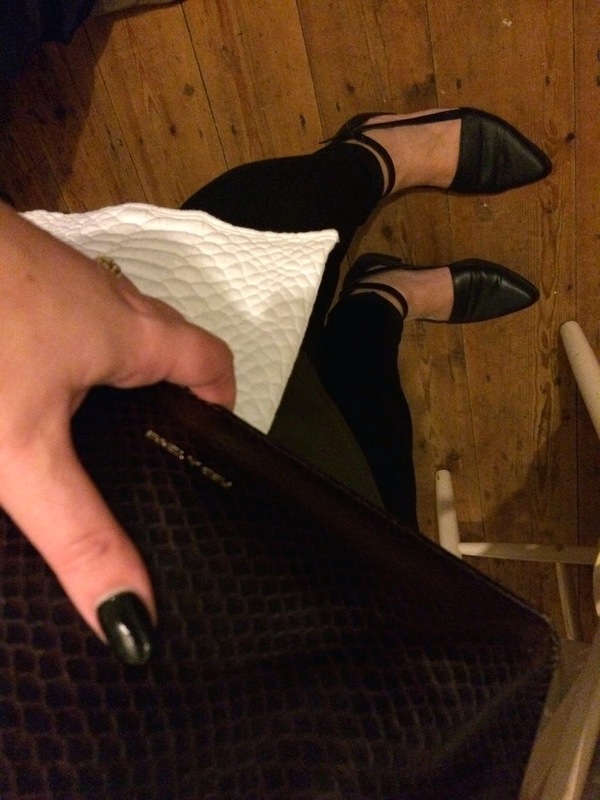 I know I enthused about these shoes in my last post, but they really are so great, and comfortable but so stylish and in the sale! Winner winner!! Love those Asos shoes, I'd been debating them for a while now and think I should get them now ive seen them styled! You look lovely! 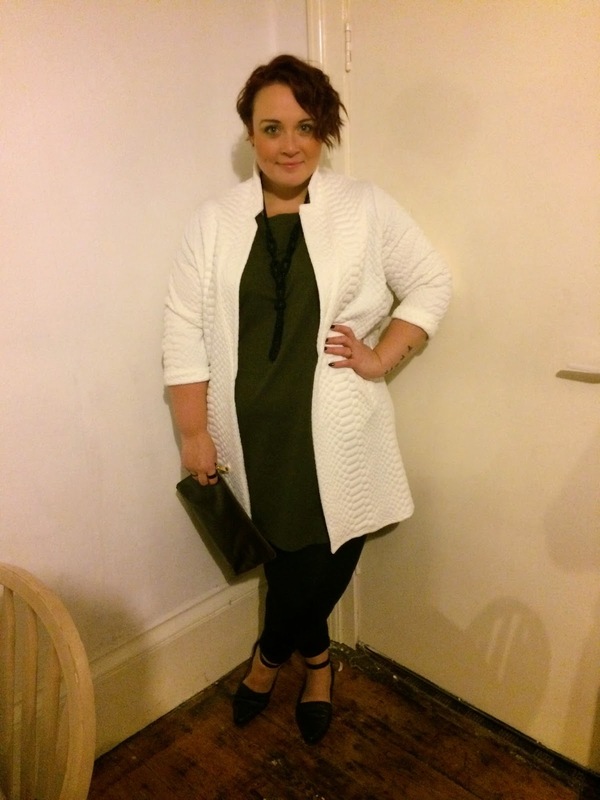 I absolutely love the Simply Be jacket, it may or may not be in my basket already! Hi, love the outfits. 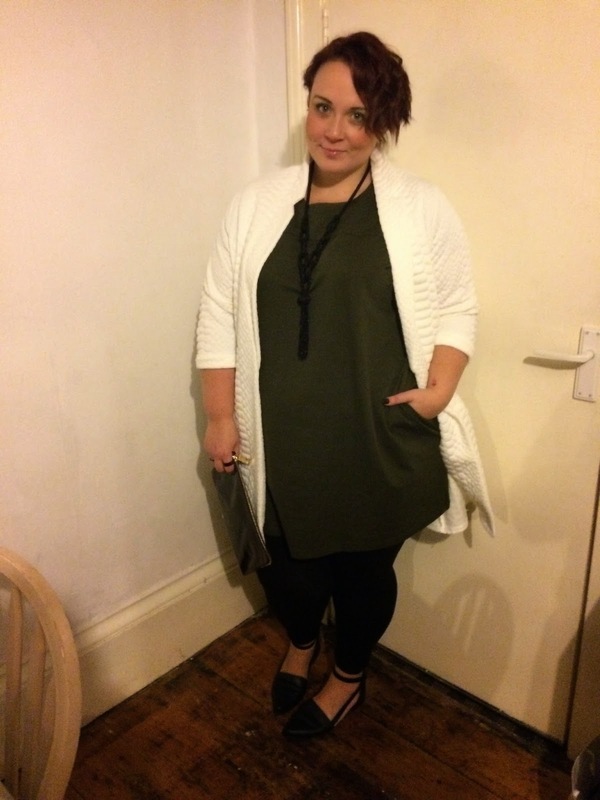 Where is the cardi in the daytime look from please?